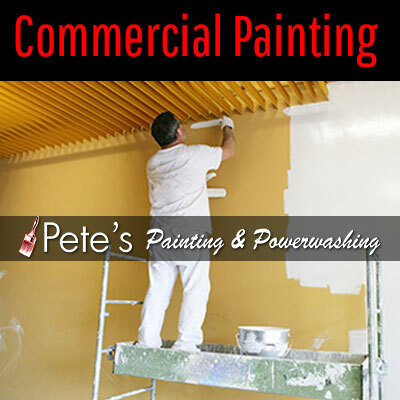 Pete’s Professional Painting & Power Washing has the equipment and manpower required to offer commercial painting services to our clients in Canada and the U.S. Our commercial and industrial professional painters are equipped and highly skilled in handling large-scale painting projects in risky environments. They have what it takes to overcome the challenges and difficulties encountered in the industries. Pete’s Professional Painting & Power Washing is your go-to provider of industrial painters. We have what it takes to get the job done. We have an experienced team of painters with the expertise needed to embark on large-scale commercial painting projects across Canada and the U.S. We do not just work within the budgets we previously established, but also complete projects on time. Whether your specific industry requires equipment with food-grade dust control or a complex industrial coating and painting process, our company has you covered. Red is an energizing and exciting color that fosters brainwave activity, making it ideal for the workplace. Red accent walls in the commercial industry or workplace is a great way to motivate your employees to be more enthusiastic about their jobs and duties. Do You Have a Painting Project You Need to Start Immediately? Schedule for Your Free Price Estimate Now! Pete’s Professional Painting & Power Washing has a team of professionals with the experience and skills to paint advanced equipment, elastomeric roofing, ceilings, epoxy flooring, etc. Our commercial and industrial professional painters are experienced, skilled, knowledgeable, and love what they do.